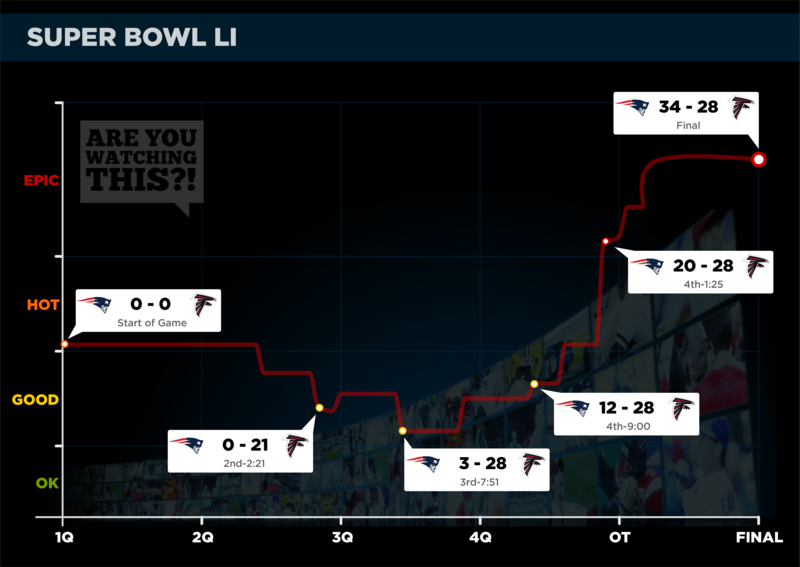 Excitement Analytics - Are You Watching This?! This is the tech that started it all. We process real-time sports data from official providers for games around the globe, and continually calculate a live excitement rating for each one. You can't tell if a 0-0 Soccer match is boring or thrilling without digging deep into the stats. Was a red card given? How many saves? How many shots off the crossbar? Are we going to Penalty Kicks? With 1 out of 4 days of the year having 100+ sporting events, our patented tech finds the games not just worth watching, but worth customers opening their wallets to catch live. 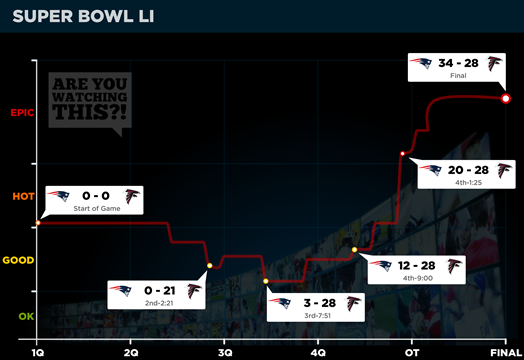 An annotated graph of excitement for Super Bowl LI. Click to see it in more detail.